NOW WOULD START TO BE WARNED! THE SEA RETREATS ALSO FROM BRASILIAN COASTS !!! Now the phenomenon really begins to be scared! After retiring from the coasts of Uruguay, the sea is also lagging behind some Brazilian coastal areas! Signs come from PortoAlegre and Tramandaí and even in this case it seems that the sea has retreated for a few hundred meters from the coast. Still other reports from the coasts of Brazil where the sea continues to retreat for hundreds of meters leaving boats on the sand that are in the water. From the other side of Latin America, gigantic Pacific waves are flagging the shores of Chile. The question to ask now is: what is causing this gravitational oscillation? Look what happened in Chile. Connection GeoClima added 5 new photos. Once again the (retreat) of the Sea in Punta Del Este, Uruguay (22/08) is recorded. The Port of Paranagua has just stopped operating. There are many oceanography teachers trying to figure out what's going on. Boy, is a very strange phenomenon occurring with the oceans. The sea dropped much more than normal and did not return to its normal level anymore. In Paranagua the sea descends almost 3 meters and already it harms the transit of ships. ATTENTION IN CHILE - The Navy, through the Valparaíso Maritime Meteorological Center, issued a warning on August 20 for "abnormal" waves in much of the Chilean coast, which will take place on Tuesday (July 22) Next sunday (08/27/2017). According to the statement released, the waves can exceed 5 meters in height, reaching the Gulf of Penas, Arica, including the archipelago of Juan Fernandez. A fire occurred that morning at the CELESC Substation in Guaramirin / SC and left at least 28,000 people without electricity in Guaramirin, Jaraguá do Sul and Schroeder. In addition to the lack of energy, residents of the region may run out of water as well, since the distribution depends on the electric power of this substation. There is something really weird happening along the Atlantic and Pacific coasts these last weeks. Water is receding along the Atlantic coast, while Pacific waters are expanding and flooding parts of Chile. And this exact same phenomenon occurred two days ago AGAIN. Two weeks ago, the sea mysteriously receded in Uruguay and Brazil. At the same time, on the other side of the South American continent, huge waves were crashing on the beaches of northern Chile. Now, a few days after the US solar eclipse, the Atlantic ocean is massively receding Again. And again, on the other side of the continent, Chile is waiting anomalous tides bringing huge waves and probably floodings along the coast. 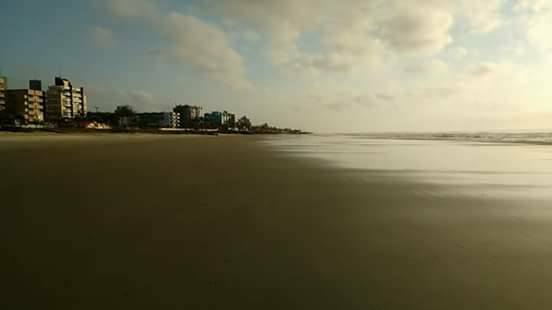 ocean receding brazil august 23 2017. Anomalous tides in Brazil: water mysteriously disappears along Atlantic coast. Water is receding in Brazil while water is flooding Chile. This anomalous tidal ocean phenomenon is symmetric (receding in Atlantic vs expanding in Chile)… It is totally crazy as if the waters were trying to find an equilibrium… And nobody knows why… Do you? 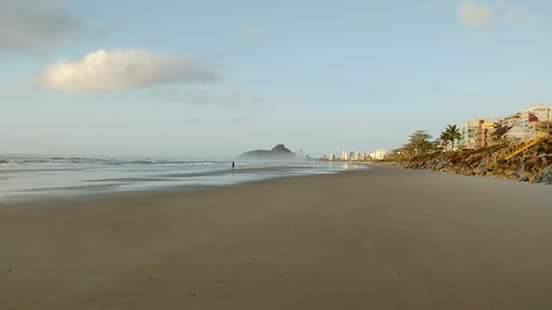 Sao Vicente Brazil. August 26, 2017. 08 September 2017_ Pacific Ocean Sea level drop about 3 ft @ puerto de San Jose in Guatemala at 11:00 Am local time! 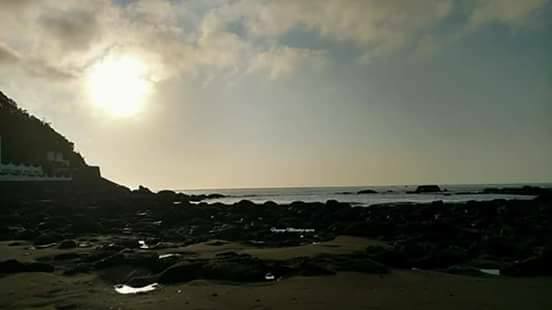 The habitants of the locality of Santa Rosa, in the canton Salinas of the province of Santa Elena; and from Bahía de Caráquez, in Manabí, on the Pacific coast of Ecuador, they were alarmed to see the sea retreat more than 100 meters from the shore. Region MARTINIQUE REGION, WINDWARD ISL.